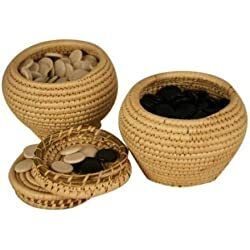 Home » Traditional Board Games » Go Game » What is the game Go? You are wondering what is the game Go? 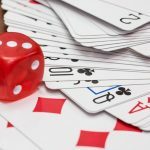 I recently wrote an article about the game of backgammon in one of my earlier post. Today, I want to speak about another classic game that I love: Go. The game Go in English, Igo in Japanese, Weiqi in Chinese, Baduk in Korean, although quite similar to chess, is considered even more difficult and more subtle than chess. There is no place for luck in Go, it requires great strategy and carefully plotted campaigns to achieve an impregnable position, block enemies from lines of communication and win a series of battles. Go is incredibly popular in Asia and there is a growing following in the Western world as well. The rules of go are so elegant, organic, and rigorously logical that if intelligent life forms exist elsewhere in the universe, they almost certainly play go. Go game is a 2 players abstract strategy game played on square board called goban. Players place in turns their stones on the board. What do you need to play Go? As I just say above, the game Go has two essential components and nothing more: The Go board and the stones. And that’s it. The professional’s games are played on board with 19lines and 19 columns, which represent 361 intersections. You can also play Go on smaller boards. I would suggest you to start on a 13×13 , 9×9 0r even a 7x 7 Go board if you are a Go beginner. It is that bit simpler. A set of stones contain approximately 180 stones on each color, black and white. So if you are using an 19×19 board, you will be able to cover your board with that set of stones. Japanese stones are convex on both side and are traditionally made from clam-shell for the white stones and slate for the black stones. Chinese stones are a bit different: Even if you can find Chinese stones that are convex on both side (double-convex),they is also single convex stones. Chinese Go stones are made from material of a secret composition called Yunzi. Stones usually come with a bowl. What is the aim in Go? 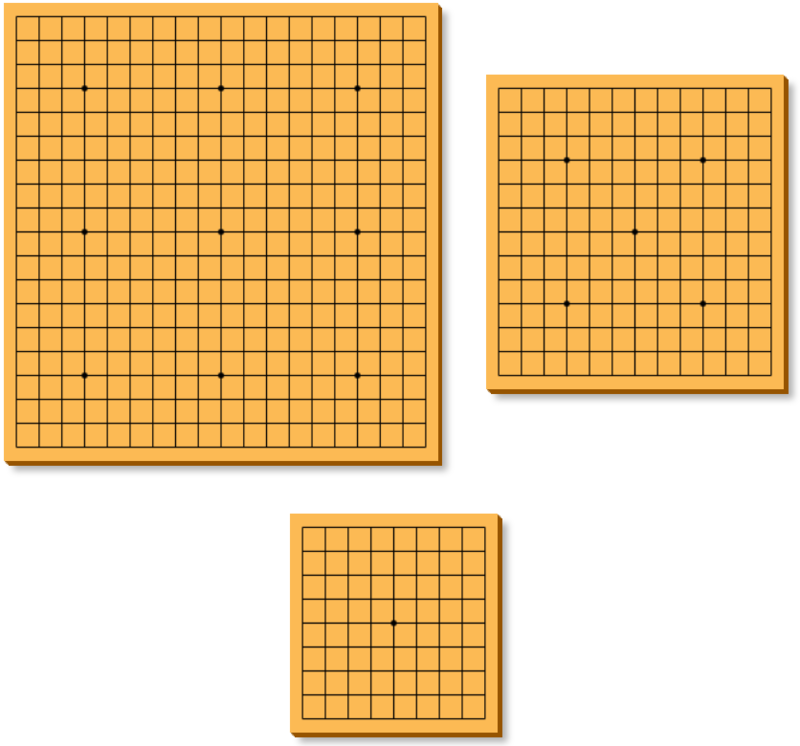 As I said before, Go is known as Weiqi in China and it means “encirclement board game” or “”surrounding game”. So as its name indicate, the aim of the game is for each player to surround the opponent stones and wall off section of the board with their stones to claim territory. The player that conquers the larger part of the board at the end of the game wins. What are the rules of Go? The rules of Go are very simple. It starts on an empty board. One player had white stones, the other one has black stones. Each player (black and white) take turns, placing one stone on the board at a time. A stone must be placed on the intersection which is where a vertical and a horizontal line of the board meet. Once a stone is placed on the board, you can’t move it, but it can be captured and removed if surrounded by your opponent’s stones. And that’s about it, you can pretty much start playing Go now! When does the Go game end? A game of Go ends when both player decide to pass their turn successively or agree that there are no more possible moves. Where did the game go originate? There was already a lot of very interesting post written about the history of Go. The origins of the game Go are still mysterious today but it is likely that Go has its origin from China several thousand years ago. This makes Go the oldest game still played in its original form. – In China, one legend said that the emperor Yao (2337–2258 BC) has invented the game of Go to favourably influence his son Danzhu. Emperor Yao (2337–2258 BC) has invented the game of Go to favorably influence his son Danzhu. 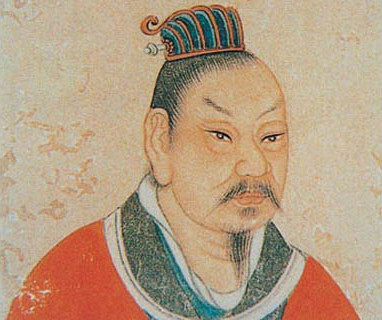 – Another legend said that it is its successor, emperor Shun ((2294-2184 BC) that invented the game for his son Shang Kiun for the same reasons. – In the third theory, it was a vassal of the emperor Kieh Kwei (1818–1767 B.C.) invented the game of Go. During the Tang dynasty, Go was integrated into the four essential arts of a cultured Chinese scholar along with calligraphy, painting and playing the musical instrument guqin. Go is also described as a worthy pastime for a gentleman in the Analects of Confucius. Go then spread over the rest of Asia . It was introduce in Korea in around 500 AD and then in Japan in 700 AD. The Japanese literally fell in love with the game Go and have spend many many years improving the game to reach what Go is today. Today,they are more than 7 millions Japanese playing Go. It is only in the last 50 years that the game was introduced in the different countries of the West and its popularity doesn’t cease growing. In May 2017, Alpha Go, an AI developed by Google, bet the world number one Go player Ke Jie for the second time. Is Go Hard to learn? The Go rules are very simple, you can probably learn them in about 10 minutes. But Despite the simplicity of the Go rules, the strategic depth of the Go game is huge. It is agreed that Go game is more complex than the chess game. According to a study from John Tromp and Gunnar Farneback published in 2007,there are more configuration in the board than there is atoms in the universe! The number of moves a player can make in Go is of the order of 10 times that in Chess. One of the advantage of GO I that people from different levels can play it. The system of “handicap stones” allow this. With that system, the lower level player plays the black stones and will be allowed to play 2 to 9 stones on specific intersections (see pictures). The white player will then start the game. What to learn more about Go? There are a lot of very good resources on the internet.